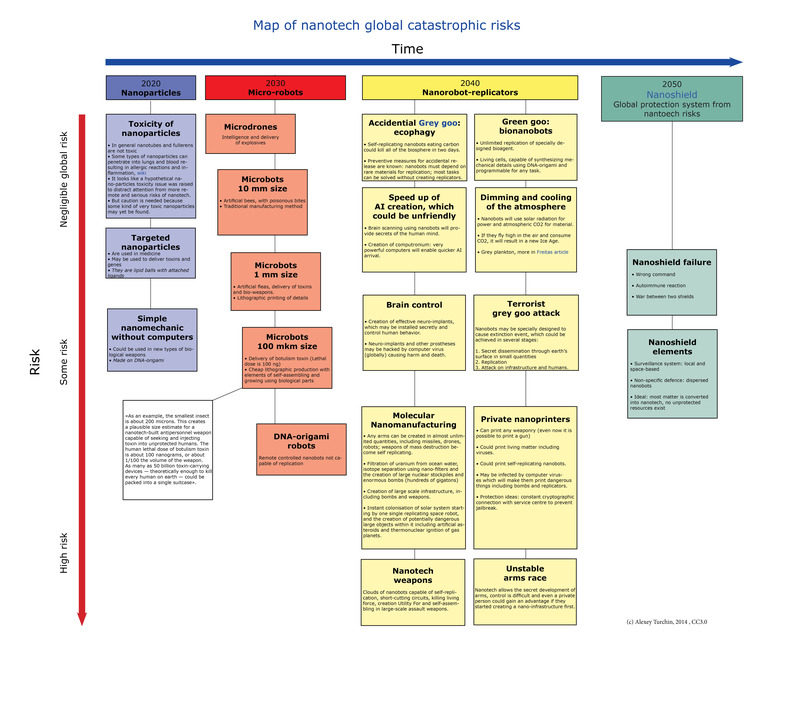 The map of nanotech global catastrophic risks - LessWrong 2.0" and "Nanoshield". Some integration between bio and nanotech has already started in the form of DNA-origami. So may be first nanobots will be bionanobots, like upgraded version of E.coli.